A fair few myths surround Multimedia Messaging Service (MMS) and these MMS marketing myths are preventing many businesses from getting involved with this exciting communication medium. Unfortunately, despite the billions of messages sent and received by consumers every month, MMS is still misunderstood. Today’s consumers know their SMS texts are usually covered by their plans, but are frequently concerned MMS messages are not. If you have a text messaging plan (which you probably do, c’mon now), you’re charged the same amount for text and multimedia messages. Most major U.S. wireless carriers bundled the two together some years ago, meaning brands, media companies, and advertisers may deliver 30-second videos to customers for the same price as regular text messages. The aforementioned 2,700 mobile devices capable of receiving MMS messages? They’re also more than able to handle MMS video content. Just because your service plan doesn’t include an internet or data plan doesn’t mean you can’t send or receive MMS messages. All your device needs is MMS functionality, which it can easily feature minus so-fancy apps and data service. Additionally, it’s entirely possible for mobile marketers to craft and send detailed mobile marketing campaign messages to non-smartphone users via MMS. Nice, right? Hardly. Pretty much everyone, from tweens to teens to young adults to older adults utilize text messaging. It might originally have been considered a “kid thing,” but that’s sooo not the case anymore. All age groups text, which explains the photo of your kids that your parents sent you while on a grandparent-grandkid excursion. Not true. MMS has been on the same usage level as SMS for years, and is currently eclipsing it. There were 10 billion MMS messages sent in the first half of 2009 in the U.S.--yes, 2009. Consumer fascination with MMS presents a variety of exciting opportunities for media companies, as mobile messaging is a billion-dollar industry that shows no signs of slowing down. 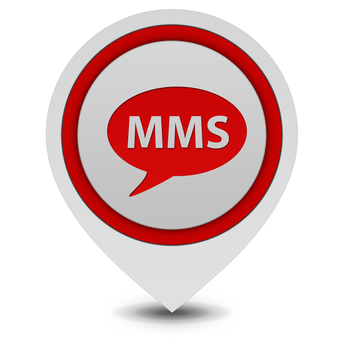 MMS provides the chance to reach consumers anywhere, anytime--in other words, it’s one heck of a marketing asset.